As the town continues to search for a site for the ninth elementary school, the Attorney General’s office is reviewing a complaint that the Select Board, School Committee and the Ninth School Ad Hoc Subcommittee of the Advisory Committee violated the state’s Open Meeting Law. In an appeal to the Attorney General’s Division of Open Government, Pine Manor College has requested an expedited review of complaints filed Oct. 4 that Brookline officials violated Open Meeting Law by holding joint meetings in executive session on Sept. 5, Sept. 12 and Sept. 15. Those meetings led to a vote to consider seven acres of Pine Manor’s land as an option for the new school. That consideration includes taking the land via eminent domain. Pine Manor’s complaints have accused the town of failing to properly describe the purpose and justification of executive session, failing to properly enter executive session and failing to keep adequate records of the meetings and release them in a timely manner. The town responded to the complaints on Oct. 25 and maintained it did not violate Open Meeting Law. According to the Massachusetts Open Meeting Law 2017 guide, Open Meeting Law requires that public body meetings be open to the public. However, under Open Meeting Law public bodies can meet in executive session, which is closed to the public, under certain circumstances. There are 10 purposes that a public body can enter into executive session. Included in those 10 is the purpose to discuss strategy related to litigation, which if discussed in open meeting, would harm the litigating position of the public body, according to the guide. The town has argued that executive session was permitted as the three meetings were held to discuss strategies related to threatened litigation about the Baldwin School site as well as the possible acquisition of an alternative site that could be used for a new school. Several neighbors opposed to the Baldwin site have threatened litigation against the town if it pursued a ninth school at Baldwin, adding to the list of challenges facing the Baldwin site. “I believe that executive session was held for valid purposes,” said Town Counsel Joslin Murphy. As Brookline has expanded its search for a ninth school site, Pine Manor College continues to fight to be removed from consideration. In September, the Select Board announced a decision to consider taking seven acres of Pine Manor land for the ninth school. 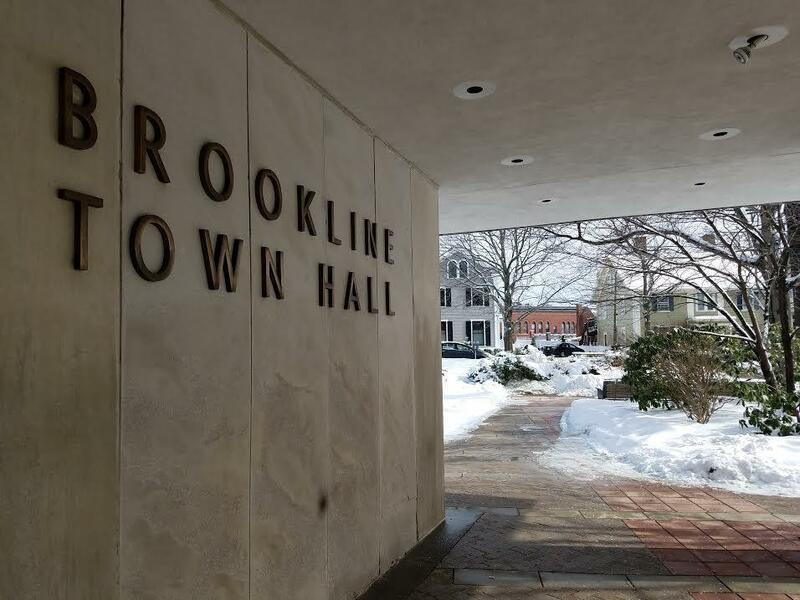 The announcement has fueled an already heated debate over the years-long process to identify a home for a ninth elementary school in Brookline. At the forefront of the complaints is the possible use of eminent domain. ″…public policy (and common sense) dictate that if a public body is even casually entertaining the taking of private property by eminent domain, all such discussions should not only be public, but advertised to the greatest extent possible and subject to ample public input and debate,” counsel for Pine Manor argued in an appeal filed on Nov. 14 to the Attorney General’s Division of Open Government. According to counsel for Pine Manor College, Susan Murphy, the meetings in question have to be considered in the context of the entire timeline of what led the committees from selecting Baldwin as the preferred site, to the Sept. 26 announcement that Pine Manor land was on the table. The town first approached Pine Manor College in spring 2017 to discuss the possible use the land for a school. The college was not interested. Pine Manor College President Tom O’Reilly did not hear from the town again until just after Labor Day, when town officials asked for an emergency meeting with Pine Manor to discuss taking the land by eminent domain. O’Reilly said he would strongly oppose such an effort and the subject did not come up again until Sept. 26 when, after holding meetings in executive session, town officials notified O’Reilly that l the Select Board would announce the decision to consider using Pine Manor land later that day. According to Susan Murphy the quick turnaround of architect designs for a school at the Pine Manor site, shared during a public meeting a week later, also raised questions as to what the committee and board members discussed during executive session. “The only decision that was made was that Pine Manor would be considered,” Joslin Murphy said in response. She emphasized what Select Board Chair Neil Wishinksy stressed the Sept. 26 announcement – that the announcement did not mean that the town would automatically seize the Pine Minor land and that a public process would ensue. On Nov. 14, Pine Manor filed an appeal of the town’s response to the Attorney General’s Division of Open Government, stating the town’s response to the initial complaints was not satisfactory. The Open Meeting Law includes a provision for 90 days to review complaints though it does not limit the review process to 90 days, according to Susan Murphy. While the complaints are under review, the town can still move forward with studies of possible locations, including the Pine Manor site, according to Joslin. This has added a sense of urgency for Pine Manor. “This needs to be dealt with swiftly because decisions have been flowing from that,” said Susan Murphy. In the next week or two, Pine Manor also plans to file a public records request with the Secretary of State for the minutes from the meetings held in executive session. According to Susan Murphy, because the ad hoc committee voted on the meeting minutes during a public meeting on Oct. 24, the minutes should be made public. Minutes recorded during executive session do not have to be disclosed so “long as publication may defeat the lawful purposes of the executive session, but no longer,” according to the AG’s website. A public body can enter into executive session to review and approve minutes, as doing so in open meeting could risk disclosing confidential information.